The Illustration Work of Louise Byng as seen from Earth. : The Cannon's Mouth. As of the beginning of October I am a proud member of the Cannon Hill Collective; a diverse group of Birmingham-based creative types brought together by the latest youth initiative from mac. Meeting every Tuesday night, yesterday was our third union and a chance for a bit of meaningful Show & Tell, finding out more about each other's practices and learning a little something from every member. 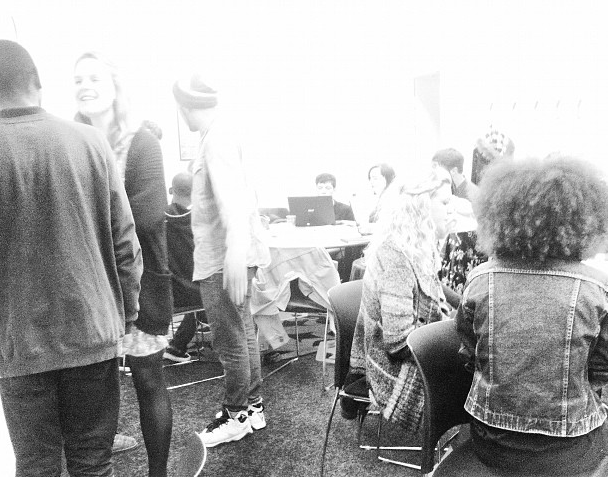 With dancers, actors, poets, artists, designers and musicians in the mix it was inevitably a lively affair, definitely planting the seed for future collaborations between our disciplines. In the foreground you can see me chatting to Sipho Eric Dube, one of the most naturally rhythmic people I have ever met. Next month we will be pitching events to potentially become part of the mac's 2013 programme, so the project certainly feels like a great chance for us to make some waves. Personally I was driven to join the collective in order to reconnect with the midlands through both understanding and shaping what role the arts plays there, and I am lifted by the knowledge that such opportunity is definitely there. 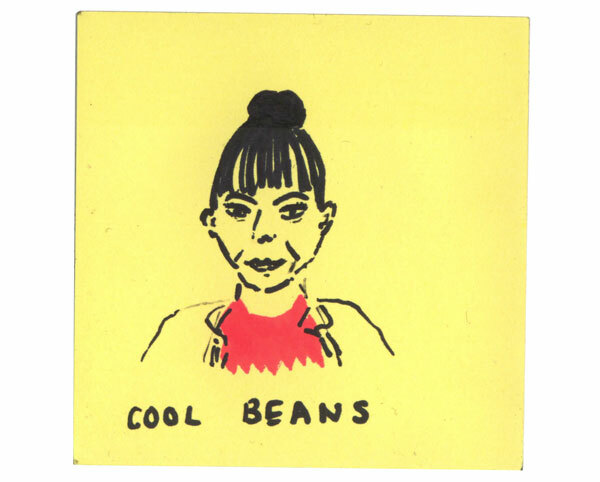 You can meet all of the collective on the MEET THE COLLECTIVE tab on our blog, and here is a little post-it drawing of Amy Martin, one of the cool beans keeping us all afloat.